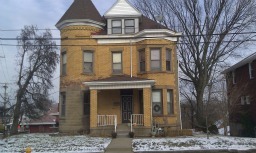 This is a Pittsburgh Apartment located at 503 Bellaire Avenue. The property features a 1 BR rental unit available starting at $590. Contact us for a showing. 503 Bellaire Avenue is a 4-unit apartment complex featuring 1 Bed floorplans. Don't worry if you couldn't find the perfect apartment this time. We'll show you more Pittsburgh apartments for rent with another search. Looking for something new? Search using our apartment guide and we'll help you find that next apartment.